LD EL SALVADOR solving Childrens Wear production and contracting needs. 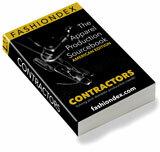 Description: Contractor expert in all types of boyswear. 55,000 sq. ft. facility in El Salvador. Compare LD EL SALVADOR with all 13 listings in Childrens Wear.